Do you want to organize a guided visit of your company’s facilities, but the background noise of production does not allow visitors to enjoy the visit? Do you have a congress, an internship or a training course already planned in your mind but you cannot find an adequate translation system? 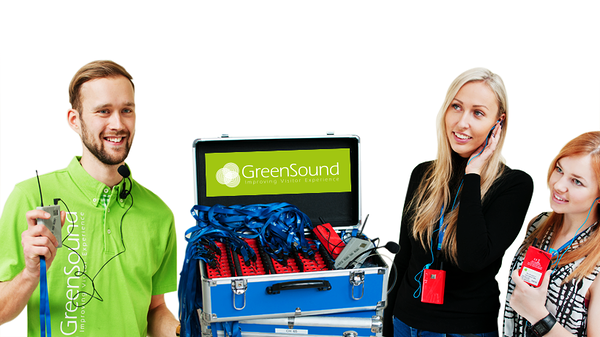 GreenSound has a totally wireless system to offer that will allow you to communicate in every kind of environment (even indoor or outdoor) enabling you to avoid noisy inconvenience without using laborious, expensive installation equipment. Please contact us for a quote and we will able to grant the perfect solution for your own needs! effective guiding in noisy environments e.g. city streets, factories etc.